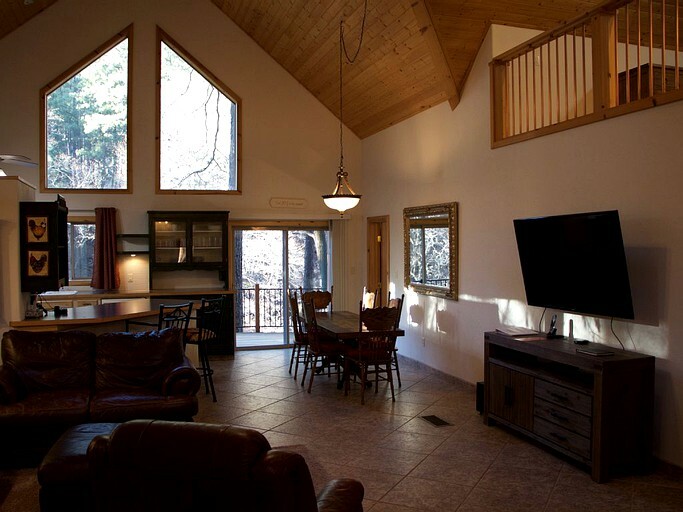 This spectacular cabin boasts views of the Tonto National Forest and makes for the perfect luxury getaway in Arizona for up to 12 guests. 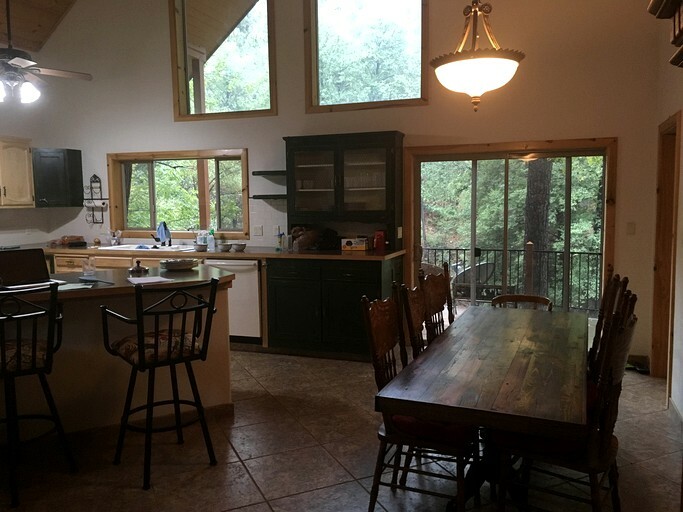 There is a modern and stylish decor throughout the cabin with large windows giving the rooms a bright and open atmosphere. 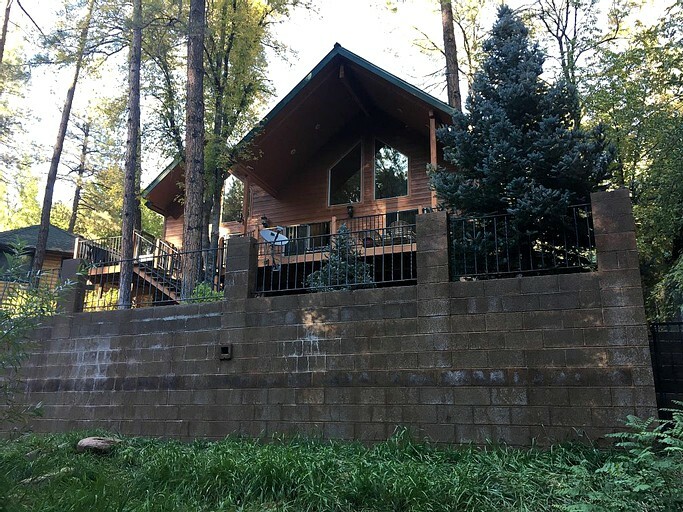 There are three bedrooms in total. 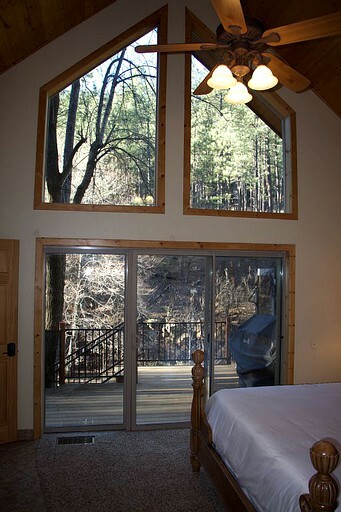 The master room has a king bed with floor-to-ceiling windows and incredible views. 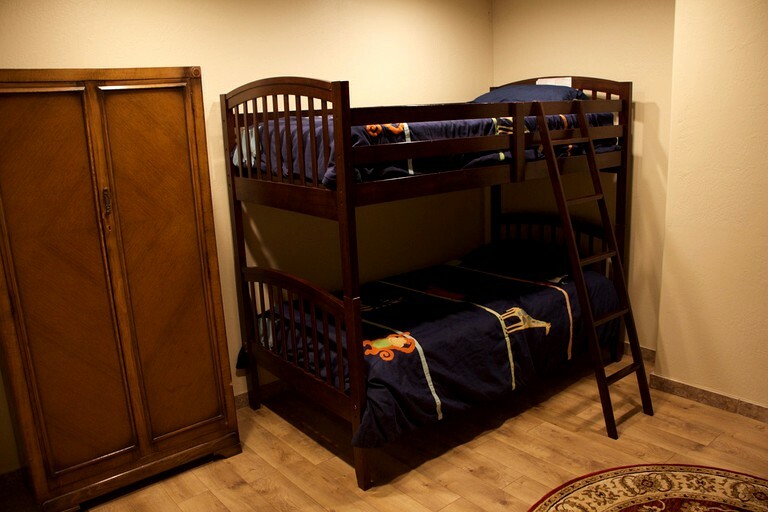 The main floor bedroom has a queen bed and a twin bunk bed. 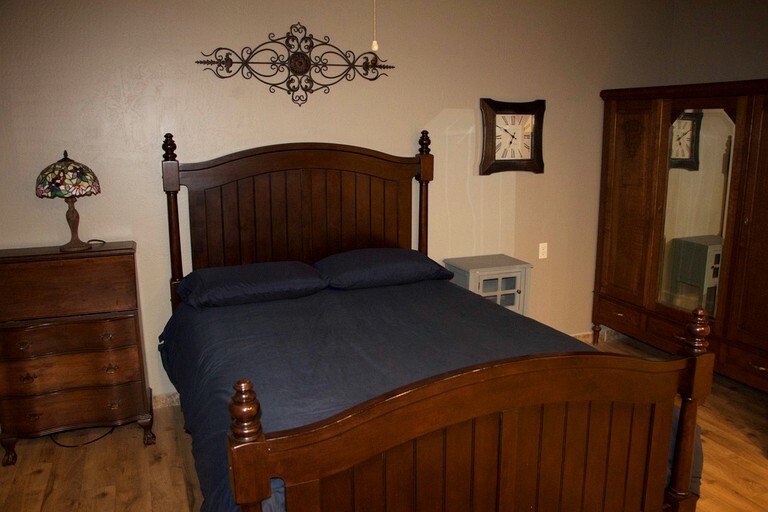 The basement has another queen bed and a twin trundle bed. 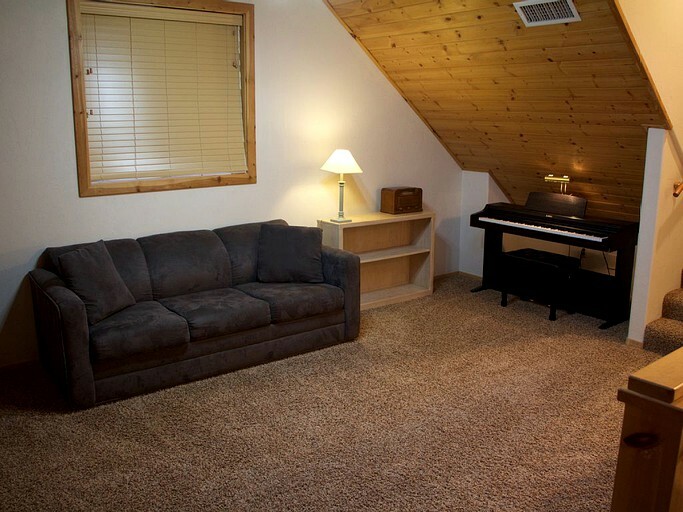 Guests will also have the use of a sleeping loft with a pull-out queen couch. 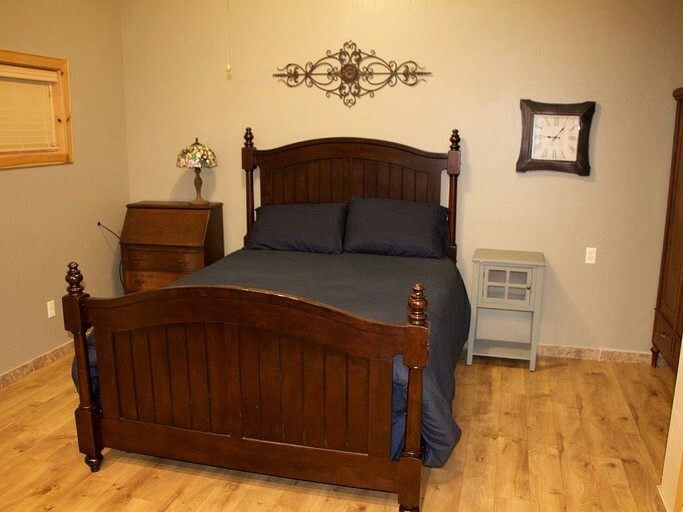 Next to the master bedroom, there is a full bathroom, the second full bathroom is on the basement level, and there is a toilet on the main level with the laundry room. 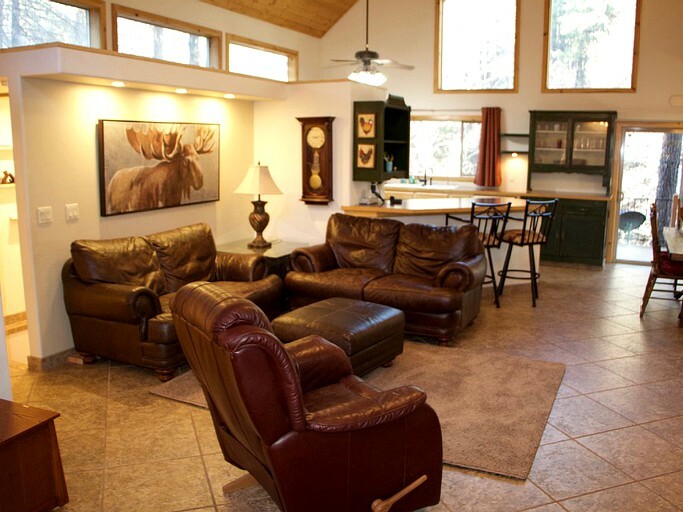 The living room is furnished with leather seating and has a television, DVD player and a feature stone fireplace. 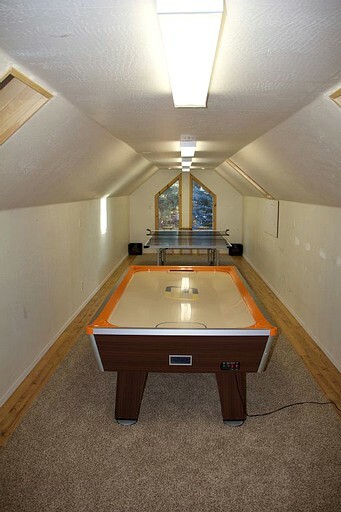 The game room has a ping pong table and an air hockey table for guests ultimate entertainment. 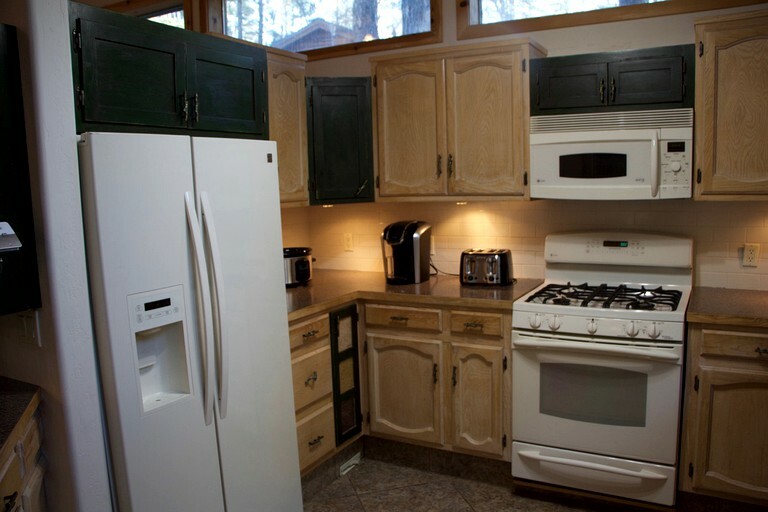 Guests will have the use of a full kitchen complete with an oven, stove, microwave, dishwasher, and a refrigerator if they want to eat in at the amazing cabin. Guests will have access to a large deck and private lawn, in addition to a grill to accommodate outdoor dining. 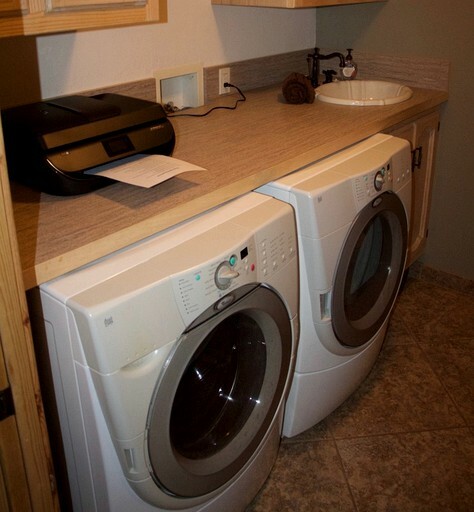 There are heating and air conditioning available to ensure guests comfort at all times. There are three bicycles available for guests use, and there is also parking on-site with a garage. There is a hot tub that can be set up with a $50 fee and prior notice to the host. 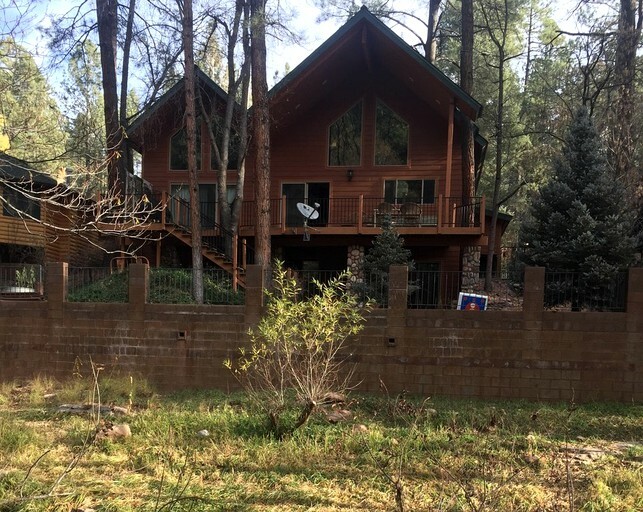 This stunning property sits in wooded landscape next to the Apache-Sitgreaves National Forest. 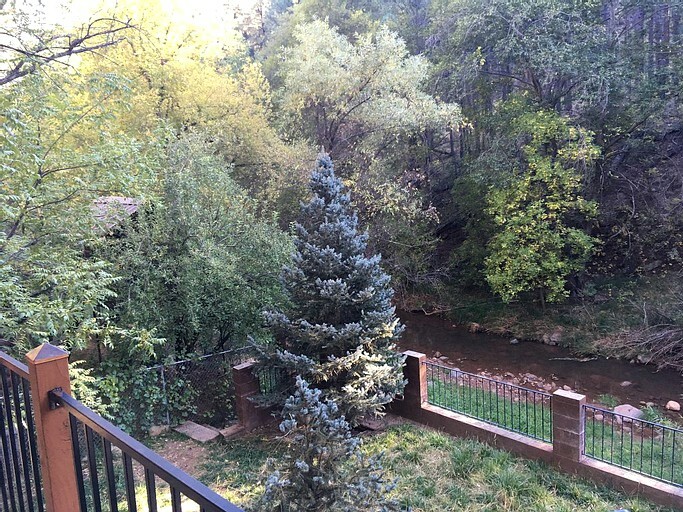 The Tonto Creek runs straight past the property giving guests a peaceful and calming feature to enjoy and admire right from their doorstep. Tonto National Forest is nearby where guests will have sweeping desert grasslands to explore, where they will find incredible rock formations and endless photo opportunities. Guests can drive to Theodore Rosevelt Lake in an hour for even more breathtaking views of the vast expanse of water. 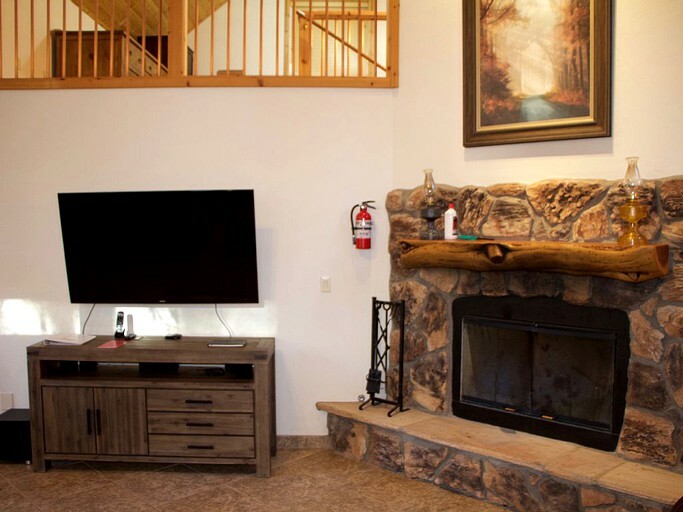 Guests can let their minds wonder when deciding what to do while at this property, with a fantastic choice of activities in an ideal location. 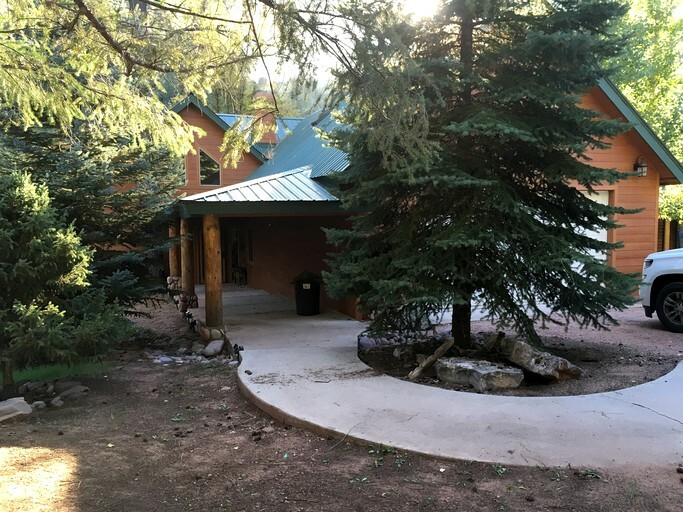 The nearby forests offer miles of trails that are just calling to be explored, whether guests are hiking, biking or horseback riding, they are sure to see amazing scenery. Rocking climbing is a great sport to enjoy in the Tonto National Forest, with its unique rock displays. Guests who want to take to the water can head to Theodore Roosevelt Lake for kayaking, swimming, boating, and fishing. The Sunrise Park Resort is the place to be if glampers want to take up skiing or snowboarding. 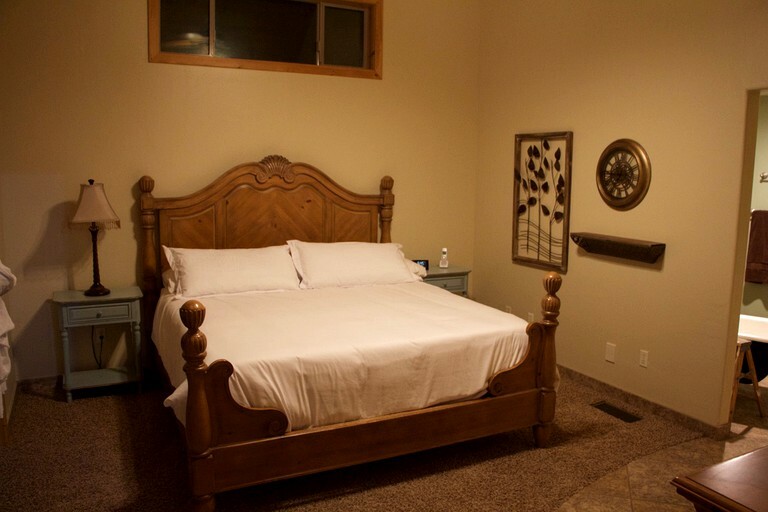 Also golfing is the ideal activity with the Payson Golf Course just down the road. Guests must be 24-year-old to be able to rent the property. Smoking is not permitted at this property, and pets are not allowed.